Those familiar with the history of sound recording trace its origins back through time over 100 years to one of the first known successful recordings of the human voice (“Mary had a little lamb”) on a tinfoil cylinder phonograph one cold December night in 1877 by Sir Thomas Edison. Edison’s voice recording, made possible through his technological inventions, becomes an integral part of the sonic history of sound recording technology. 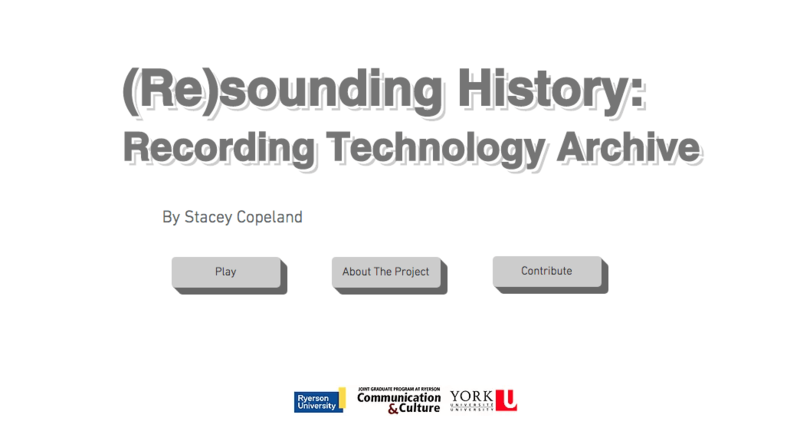 But what if the history of sound recording was based on the ‘voice’ of the medium, the machine, the sound technology, rather than the content produced. What of the voices that hide within each technology we rely on? That is the question through which this project has come into existence. As our archives are filled with transcripts, human voice and music recordings, the technology once revelled as the latest invention, become still, become silenced.